Wow your guests with this 4 tiered birthday cake which will serve around 55 people. 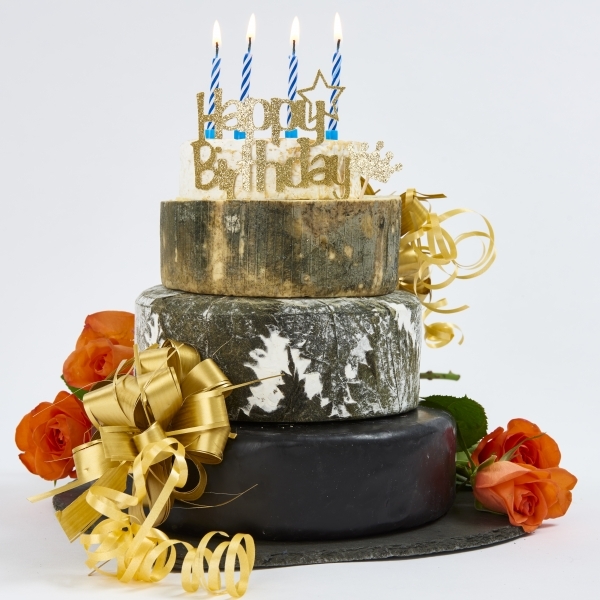 This cake has been designed with a combination of flavours that compliment each other in perfect harmony from a local cheddar to the more unusual Cashel Blue. If you would prefer to taste before you buy you can purchase a sample box of all the cheeses that go to make up The Baslow Celebration Cheese Cake.